Fables and fairytales are some of the oldest types of stories around and they continue to be an important part of the literary world. 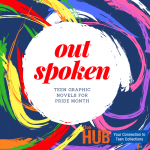 With their combination of art and story, comics and graphic novels are a particularly great medium for this sort of story-telling. These are just a few of the multitude of great options that are out there for fans of fables and fairytales. 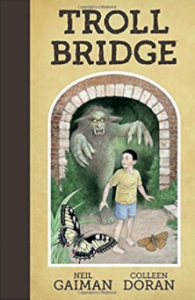 Troll Bridge by Neil Gaiman with art by Colleen Doran – In this modern day take on the classic tale of the troll under the bridge, a young boy goes wandering in the countryside only to encounter a troll living under a remote bridge. 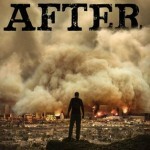 To describe the plot much more would be to give away the ending, but the story comments on many modern issues that go beyond classic troll stories, including technological process, urban development, and the choices each person makes and must ultimately live with. Doran’s artwork brings realism to a story that could have been completely fantastical and complements Gaiman’s story perfectly. The City on the Other Side by Mairghread Scott and Robin Robinson – Opening in San Francisco shortly after the 1906 fire and earthquake, this book introduces readers to Isabel, a young girl who lives with her wealthy but remote mother. 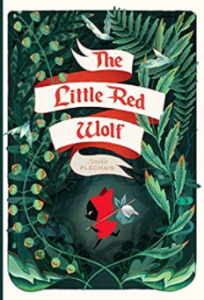 When Isabel is sent away to her father’s for the summer as her mother travels, she suddenly finds herself unexpectedly crossing the veil to the world of fairies where the Seelie and the Unseelie are at war with one another. 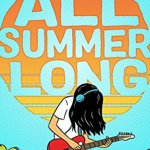 Tasked with protecting and delivering a necklace that is important for ending the war, she finds herself on an adventure with new friends, including a Filipino boy who can also cross between the two worlds. 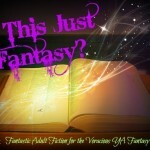 This fun romp of a fairytale mixes fantasy and adventure well. It is being released later this month. 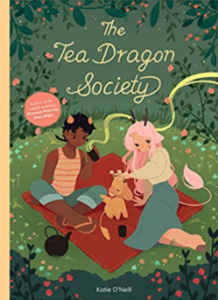 The Tea Dragon Society by Katie O’Neill – From the author of Princess Princess Ever After, this delightful story follows Greta as she learns the dying tradition of caring for tea dragons from Hesekiel and his partner Erik. Tea dragons, which are small dragons who grow tea leaves on their horns and antlers, store the memories of themselves and their caregivers in the leaves that they grow and brewing tea from these leaves allows the drinker to experience these memories. However, because the process of cultivating their tea is long and difficult, few have continued the tradition. But Greta and her newfound friends, including Minette, a shy former prophetess, manage to rebuild the Tea Dragon Society for themselves. This is an adorable story with cute artwork and a great cast of characters. It is perfect for fans of Princess Princess Ever After and is sure to earn O’Neill even more fans. Henni by Miss Lasko-Gross – In this modern fable, Henni is a young girl who lives in a dogmatically religious community where her freedom to be herself is strictly limited. Seeing her father attacked for daring to cross the religious leaders has a huge impact on her at a very young age, but still she stays a part of the community until she sees evidence of the true corruption of the tenets she was taught to believe in. At that point she flees into the unknown, desperate to find a just place where she will have the freedom to be herself. By setting this tale in a fantastical world populated entirely with humanoid creatures with the ears and tale of cats, Lasko-Gross makes this a relatable story that can feel applicable to so many situations. The emotional and moody illustrations and the terrifying obstacles that Henni faces throughout make it a powerful reading experience. And, by ending simultaneously with a moral and an open-ended final scene, Lasko-Gross makes the fable genre seem fresh and modern. 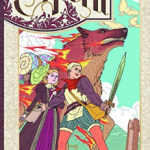 What are your favorite fables and fairytales in graphic novels? Let us know in the comments!